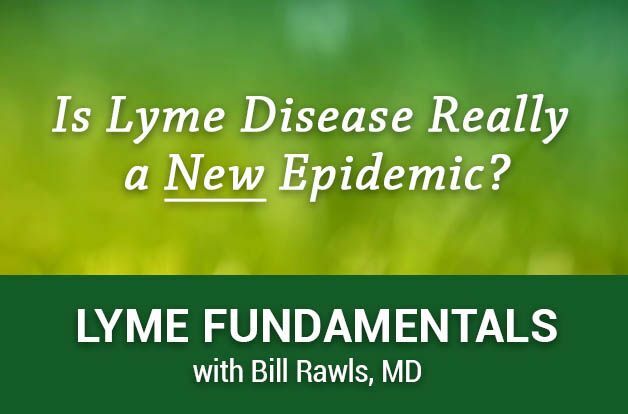 Is Lyme Disease Really a NEW Epidemic? 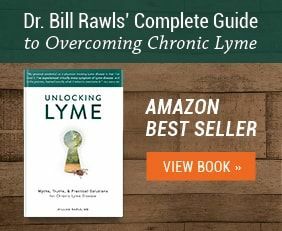 Home/Health-Articles/Is Lyme Disease Really a NEW Epidemic? 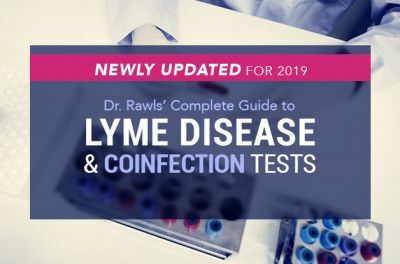 The prevailing opinion is that the first case of Lyme disease occurred in Connecticut in the 70’s. The bulk of evidence, however, suggests that the microbes that cause Lyme disease have been around for thousands of years. A new study out of Yale confirms that Borrelia has been present in North America for at least 60,000 years. 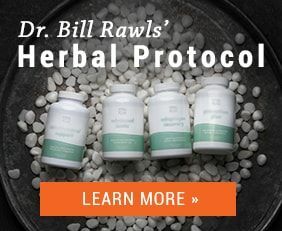 Dr. Rawls created a video to share this fascinating study and also offers a counter viewpoint to some takeaways from the article. Hi, everyone. 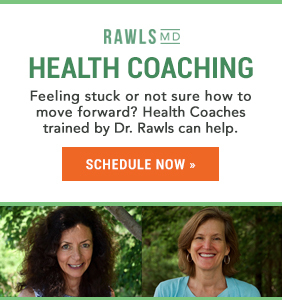 This is Dr. Rawls with a Lyme Fundamentals note. New evidence that Borrelia burgdorferi, the microbe that causes Lyme disease is not a new microbe. It did not originate in Lyme, Connecticut. And it’s actually been around for a long time. Basically, what they did is they took lots of ticks from all over New England and did gene sequencing, DNA sequencing on the bacteria, specifically Borrelia burgdorferi, and they compared that to gene sequences from bacteria from ticks from the South, Midwest, Canada and other places. 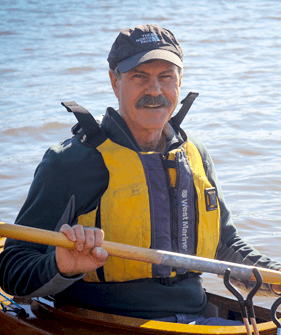 What they found was that the evidence that Borrelia has been around for a long time is overwhelming, to the tune of 60,000 years or more that it’s been on the North American continent. Very good evidence that it’s actually been there long before humans were there, and that it was biting humans as soon as they arrived. 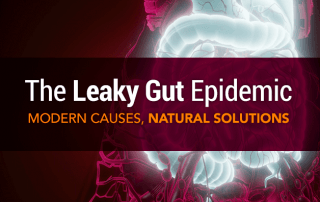 So, this is a long-term illness that has been infecting humans and infecting… and present in our environment for a very, very, very long time. This supports everything that I’ve been saying. And the evidence is actually beyond the science. It’s very logical. When you look at how microbes affect the body, microbes that harm us are looking for a host. And when it’s an ill-fitting host, they make us sick. 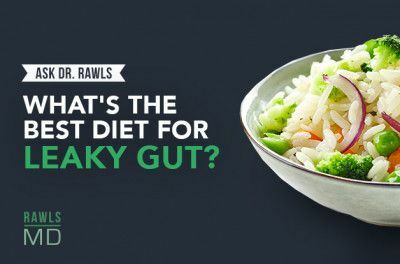 So most of the microbes in our body, all of our normal flora, we do great with that. They don’t bother us at all because our immune system knows how to manage those microbes. 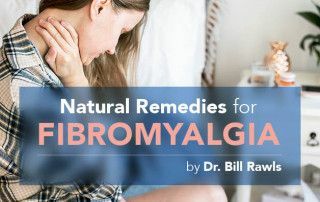 But when we get something that our immune system isn’t familiar with, that’s when we get ill. Probably the best example of that right now is Ebola virus. Ebola, they think the reservoir for Ebola is a very rare spider in Africa. And occasionally that spider bites a bird, and when the bird gets sick and the other birds get sick and a kid happens to be playing under the tree where the birds are like it happened last time, it spreads like wildfire through human populations because our immune system is totally blindsided. We have no memory of it. So when you see a microbe that is causing really severe, acute infection, acute infection is the key, that means that it is new to humans. That it hasn’t been around for a while. HIV is another example. It skipped over from primates back in the ’80s. We had no defenses against it. But when you look at Borrelia, there’s very good evidence from not only this material but also from other evidence. They actually found Borrelia in a 5,300-year-old mummy that fought out of a glazier in the Italian Alps. It’s been found trapped in amber that’s 15 million years old. So there’s very good evidence that this thing has been…really been around and has been infecting humans for a very long time. 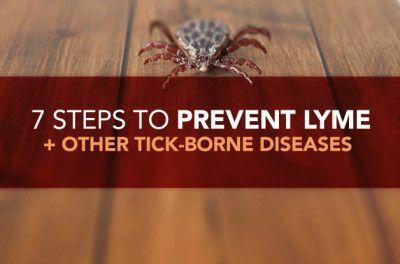 So when Borrelia gets in our system, or really any tick-borne microbes, our immune system is familiar with it. And the telltale sign of that is that most people don’t get an acute infection. They don’t get ill right from the beginning. But when you look at this thing, it’s ill-fitting. It still doesn’t fit in like a normal flora. And this is true of all the tick-borne microbes. 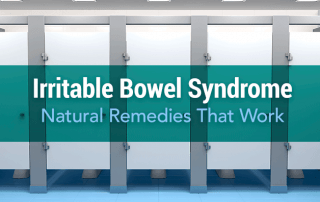 They don’t fit in quite as well as a normal flora, and they…so they survive by stealthy characteristics, which doesn’t necessarily make us sick early on, but it can make us chronically ill for a long time. And it’s probably been doing that for a very, very long time. We’re just starting to recognize Lyme disease, but people have been getting chronically ill for no reason for as long as we’ve known. My grandfather was a general practitioner. I can remember making house calls with him when I was a kid, and it was really interesting that there were lots of sickly people out there, but he could only help them if they were acutely ill and he had a drug to fix it with. 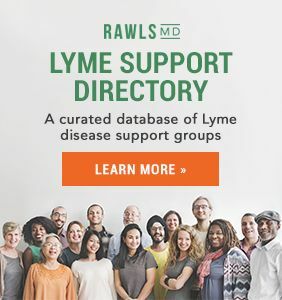 So there’s a very good chance that Lyme disease has been very prevalent but unrecognized for a long time. And this is where I disagree with the article a little bit. They were still suggesting that Lyme disease was an epidemic caused by global warming and more ticks, and more deer, and everything shuffling around. That probably is a factor, but if you think about it, we spend most of our time indoors. People, before 1900, they lived outside their whole lives and they were getting bitten by ticks, so they were getting these microbes. And some of them got ill, but the thing, the fundamental thing that has to happen is the immune system has to be disrupted for those microbes to take hold and start causing chronic illness so that if your immune system is strong, you don’t necessarily get ill at all. So I think as we are…testing gets better, we’re gonna find that a lot of people have this microbe that aren’t well, that aren’t sick. Lots of well people have it. And also, that’s part of the…I think part of the problem for the reason we’re seeing more Lyme disease is more awareness than anything else. Our testing is getting better, people are aware of Lyme disease. But you can’t define something as an epidemic when you don’t know what the incidence of it was in the past. And 40 years ago, people weren’t testing for Lyme disease at all. Twenty years ago, they were barely testing for it, and the testing was very, very poor. Even as far back as 5 or 10 years ago, our testing wasn’t very good. So what that means is there could have been a lot of people out there that were suffering and had other diagnosis. 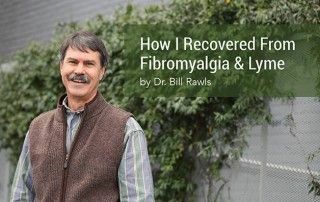 Fibromyalgia, chronic fatigue, whatever, that they were ill with Lyme disease but they didn’t know it, so it didn’t get reported. Now, because of our awareness and our ability to test, we’re testing for it a whole lot more. So whether it’s actually increasing or not is a really hard question to answer. And it certainly isn’t something that you can call an epidemic. It would be defined as endemic, or it’s been present, smoldering for a very, very, very long time. So that’s my short on Lyme disease for today. Thank you very much.